Siena’s middle school science program centers on the scientific process and what it means to be a scientist and engineer in the 21st century. Starting with Foundations of Science (grade 6), students learn to think critically about real-world problems and phenomena and design experiments to test and explore their ideas. Students continue to build on these skills in studies of Physical Science (grade 7), where they explore chemistry and physics, and Life Science (grade 8), exploring biology and ecology. 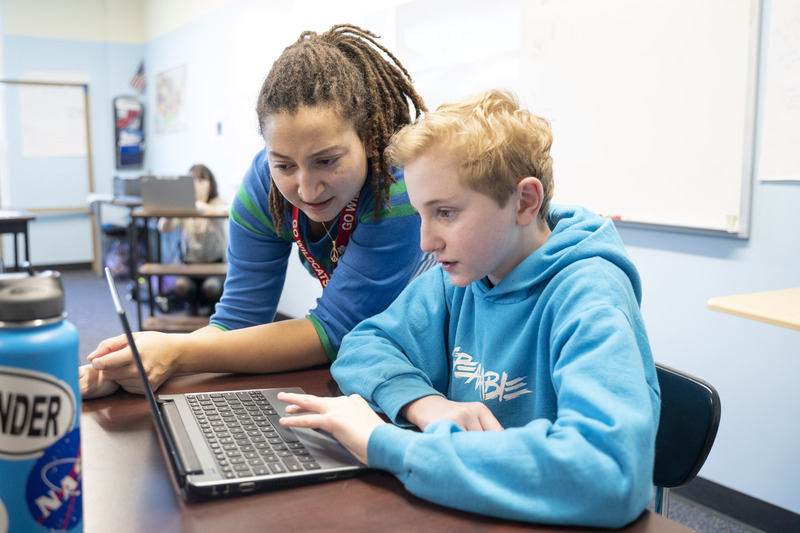 Classes center on real-world topics and projects that ask students to think critically and creatively to solve problems as individuals and in teams. Each year students will build upon their experiences with the scientific process, learning to identify problems, design experiments, analyze data, and present their findings. Each year students participate in SciCon - a quarter long project on a specified topic (solar cars, gliders, wind turbines). Students go through the full scientific process, testing and improving their designs, before finally composing a narrative about their process and presenting it to the younger grades. Each year students are given more responsibility, not only taking their projects further, but answering questions and providing feedback to younger students.